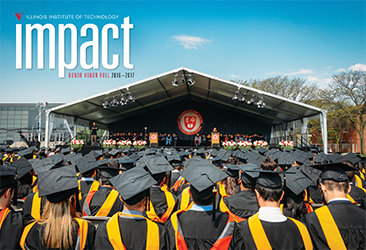 The 2017 issue of Impact magazine is here! This year's publication celebrates donors who have supported Illinois Tech students through scholarships. Tech's annual donor honor roll is omitted from this version. For a complete printed publication, please contact Advancement Communications Director Rebecca Scherer at rscherer@iit.edu or 312.567.5034.